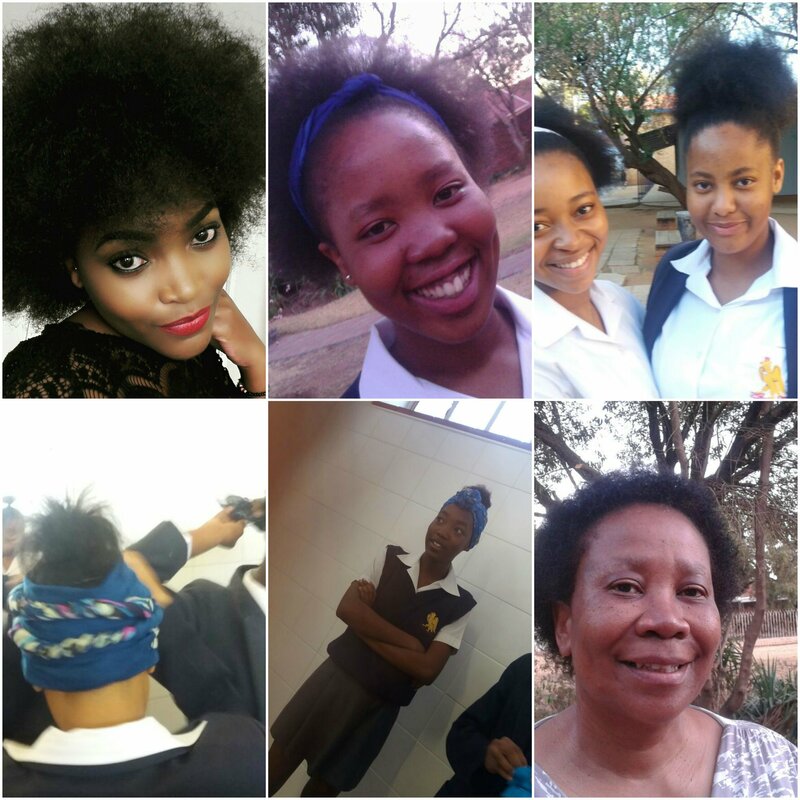 Young black girls and women across the country are joining hand, standing up and saying 'hands off our hair'. A group of learners from Pretoria High School for Girls (PHSG) have ignited a conversation that has so often been drowned out by other contentious issues. A conversation that we've been needing to have for the longest time. The conversation spread like wildfire, stretching beyond Gauteng and landing up in provinces such as the Eastern Cape and Free State. As soon as learners at PHSG exposed their discriminatory code of conduct, girls from Lawson Brown High and St. Michaels School for Girls also made their voices heard. At Lawson Brown in Port Elizabeth, a black girl was allegedly told she would not be allowed to write her first exam on Wednesday if she didn't cut her afro. The provincial education department has since suspended the schools' code of conduct. Parents of pupils from St Michael's in Bloemfontein met with the principal on Tuesday after allegations surfaced of a swimming cap inspection. Following a meeting with parents, the school agreed to stop the swimming cap inspection with immediate effect. Jacaranda FM News reporter Slindelo Masikane spoke to the young girls and women who are leading the debate.